After 24 years working as a dedicated volunteer, SPS Shareholder Rick Schenkel recently served as MC for a gala celebrating the 25th Anniversary of the Water Buffalo Club (WBC). The 75-member WBC provides time and financial support to smaller children’s charities, as well as hosting events that foster a sense of well-being for under served children throughout the Los Angeles area. Let’s just say the anniversary bash was a blast. Saturday Night Live alumnus Dana Carvey provided a side-splitting set. Additional entertainment was provided by kids from Get Lit, a leading nonprofit presenter of literary performance, education and teen poetry programs in Southern California. Get Lit’s efforts received a WBC donation this year. That’s not to mention the lucky raffle winner, who is taking seven friends on a private Lear Jet to Las Vegas for a night on the town. Over the last quarter century, WBC has donated $3 million to local charities. Gifts include refurbishing nine school libraries, feeding over 15,000 people at Thanksgiving, and sponsoring 10,000 kids to attend events such as a day at Santa Monica Pier, Los Angeles Dodger games and trips to the Observatory. Here is a partial list of organizations who received grants this year: Falcons Football and Cheer, Better With Books, Hollywood Indies Little League, Slam! and Dream a World of Education. 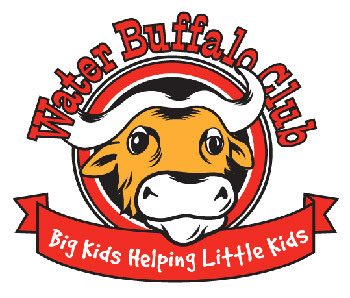 If you’d like to know how you can become involved with WBC (www.waterbuffaloclub.com) call 310-556-8100.